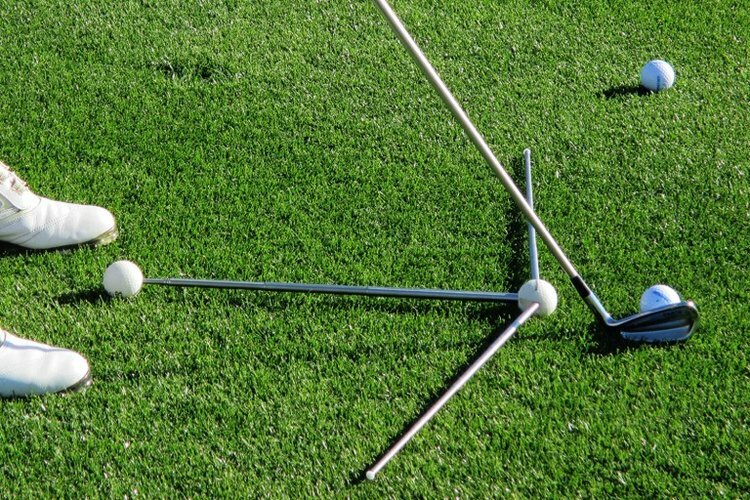 For visualizing the swing path to draw the ball, set up your Swing Station on the ground with the T now backwards and Tip Ball (“Golfer) with longer telescoping rod between your feet. Then set the right trailing rod to the right of your Target Line (easily visualized with the placement of an Intermediate Ball about 3 feet out), which creates a direct visual aid for the required swing path to hit a draw. 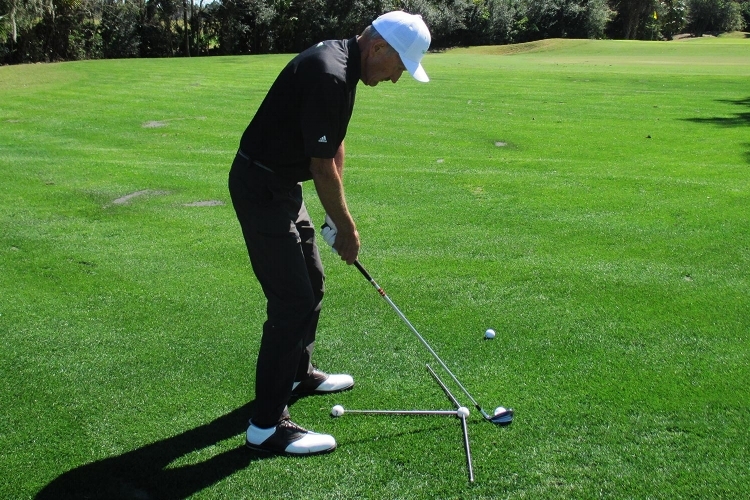 For visualizing the swing path to fade the ball, set up your Swing Station on the ground with the T now backwards and Tip Ball (“Golfer) with longer telescoping rod between your feet. 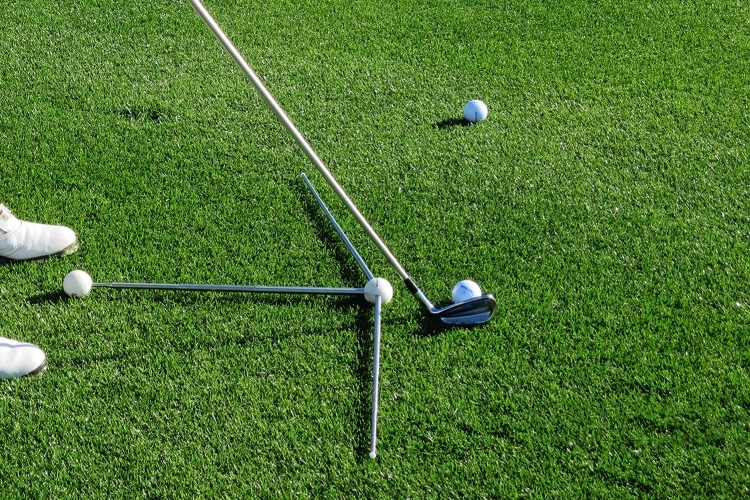 Set the left rod to the left of your Target Line (easily visualized with the placement of an Intermediate Ball about 3 feet out), which will give you a visual aid to the path for the arms and hands to travel.